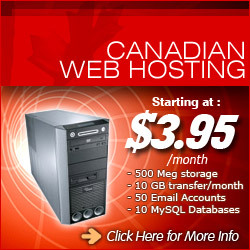 Your website is on all the time 24/7 and it is selling all the time, everywhere. Even when you’re sleeping your website can interact with your potential clients. At a fraction of the cost of other forms of advertising your website will reach more people and give you more opportunity to demonstrate why you are who they should work with. Websites can track where clients come from, what pages they stay on and what pages they leave from. This information helps you know how your clients got to you, what they are looking for, and how to meet those needs. A website demonstrates that you are up to date with the latest in your field and you get the opportunity to show what you can do for them. In my last post I talked about Flash and the problems associated with it. Yet, you may still need that slideshow for the Artwork, Interior Design or Photography Website you are creating, therefore isn’t Flash the way to do it? What are the alternatives then? Why we seldom use Flash. Flash adds glitz but unfortunately along with it come glitches. 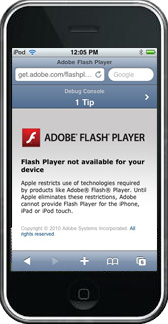 Google and Apple are setting the new trend and that direction seems to be away from Flash and towards HTML5. Flash was an excellent advance in web publishing, bringing websites alive but with that came some drawbacks. Flashy websites, forgive the pun, are great to look at but they are best left for sites that are in competitions not in business. At DMuirDesigns we want your website not only to look good but we want to build a “Website that Works” every time. We do incorporate Flash in our sites where it is the best or only option available but we try to provide it in such a way that when a client is using a device that doesn’t support Flash there will be other content to take its place. For more information please Contact DMuirDesigns. Motivate clients to take action. Allow owner accessibility for quick changes. Update regularly via a blogging section. Are monitored so changes are targeted.